Hi Enfew readers and game lovers! 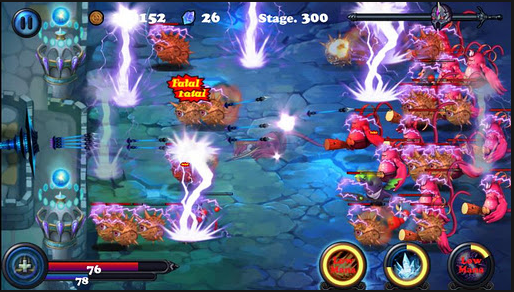 We are continuing with top mobile game reviews and after our previous successful posts about tower defence games for your mobile phones here goes new list for top Android tower defence games in early 2012. If we missed any of the games you enjoy playing let us know in comments! Have fun. A post-apocalyptic world destroyed by a nuclear war, hordes of zombies hunger for human flesh. But zombies aren’t the only threats you’ll encounter! Face off against some of History’s most notorious baddies, like Dracula and Frankenstein! 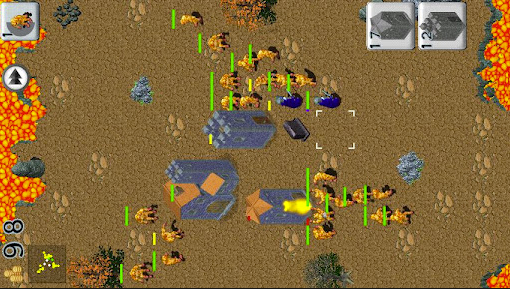 Obliterate mutant hordes across 20 levels using fire, electricity, lasers and more! Each battlefield is unique: Visit exotic locations like the Amazon Rainforest, the Bermuda Triangle and even an alien space! You must use your limited types of towers, some much more powerful than others, and evolving strategies and tactics to survive! Medieval Castle Defense shows what classical tower defence game is. 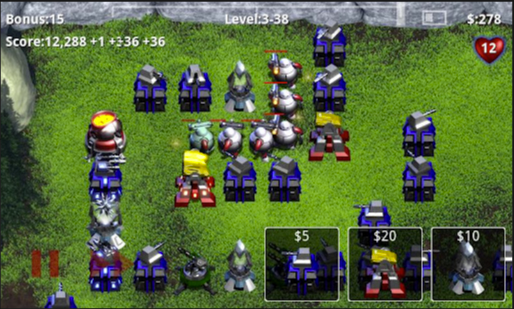 Build your towers to defend the castle from enemies pouring out from camp. Choose your towers to fight along with thourgh 40 substantial stages. You begin with only 2 types of towers. But you can gain more towers as you clear the stages. Tons of creatures, from basic infantries to mana using priests, healers, shamans, battering ram with special abilities, will feature in this game. More you miss, less you get. Waves of monsters are attacking your castle. They move fast, strike hard, and never give up. It’s time to equip your BOW to fight! Can you defend your castle against intruders with your archery? 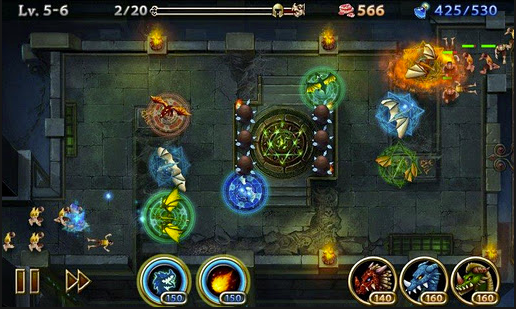 Monster Defense is a continuation of addictive fantasy story about Ashrem Kingdom that were attacked by enemies in Castle Defense game. This time you have to defend your medieval castles against undead monsters. Monster Defense introduces several new ideas like upgrading chosen abilities, making towers more diverse and making enemies more resistant. Like in Robo Defense enemies can walk wherever they want. They can attack from various directions. Player gets bonuses like crystals giving them more gold or increasing towers abilities. 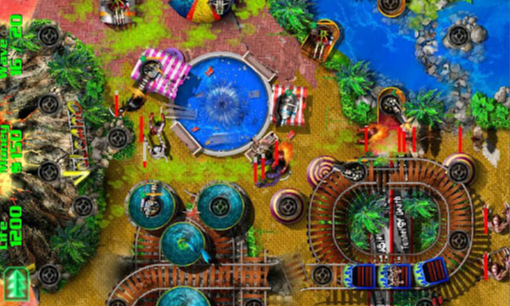 This is a great tower defence game for spending time in city jams. Way back in ancient history, when humans and dragons live in peace, the human emperor once heard eating dragon eggs will make one live forever. Since then, the war between humans and dragons has begun. You are the one to stop the greedy humans from stealing eggs and killing dragons. Command your dragons to stop greedy humans from stealing eggs now! Defend the Planet Earth from an asteroid apocalypse! Tower defense style. 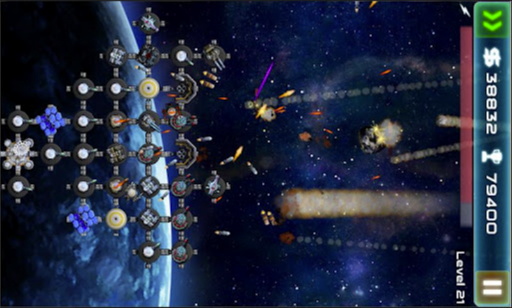 Save the earth from the asteroid rain in an innovative Tower Defense approach. 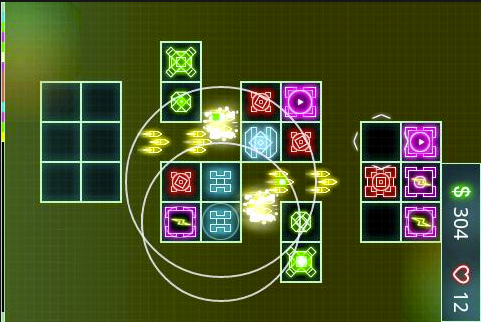 Equip your space station with blaster, laser, solar panel, shield, and freeze cannons. Defense is very important, so protect your command center and let it blast away all incoming asteroid waves. Beat the best players and put your name on the Leaderboard! 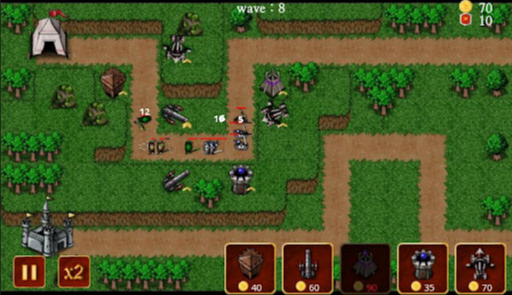 Retro Defense Lite, a free tower defense game with a killer retro theme. Really nice and addictive game. Player reviews speak for themselves. Check it out!